There are more and more awesome and useful Windows 8 apps appearing on the Windows Store, and one of the latest releases is Pizza Hut, which has made its way a few days ago on the store. 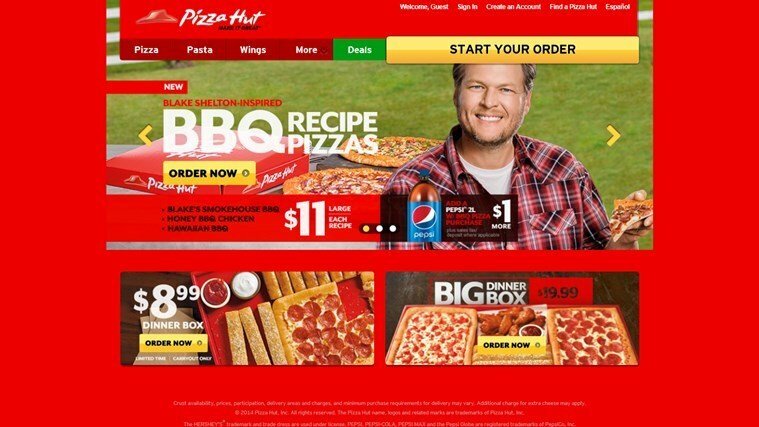 If you lost for some yummy-yummy pizza from Pizza Hut, you can now order your own flavor to be delivered straight at your door from the comfort of your Windows 8 tablet. By using the app, you can find the best Pizza deals at your local Pizza Hut store, however, ordering is only possible for residents of the United States. Also, the overall look of the application is just a slightly modified version of its web interface, but we hope this will change with a future update. 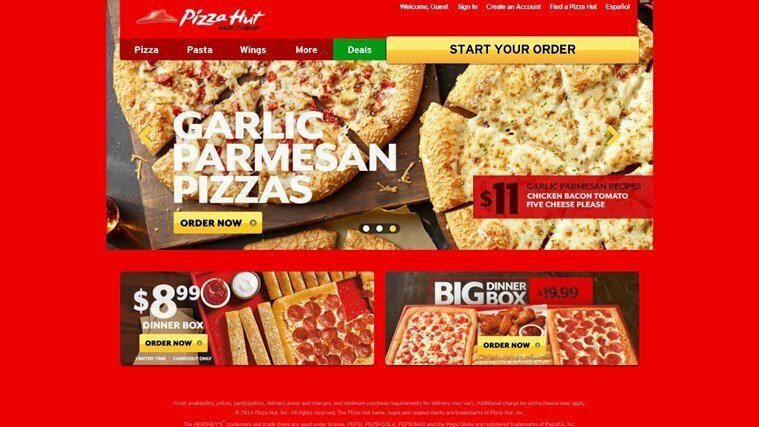 With the Pizza Hut for Windows 8, you have access to easy ordering from the expanded menu and there’s also quick access to Pizza Hut favorites. Have a look at some more features of the app below and follow the link at the end to download it on your Windows 8 devices. Welcome to the new app from Pizza Hut for Microsoft Windows 8.1 built around our web site experience. Enjoy the extensive menu, explore daily specials and order our Most Popular items with just a few taps. Check out some of the features below, and you’ll see why this new Pizza Hut app is the absolute best new way to order. • Our expanded menu offers specialty pizzas, Tuscani pasta, WingStreet wings, drinks, sides, desserts and limited time offers. • Most Popular items section provides quick and easy access to Pizza Hut favorites. • New Specials section provides updates on new products and deals. • Checking out is easier than ever before, allowing you to add credit card options without creating an account.